Remember the time David Spade exploited the fond dead memories of Chris Farley for that stupid DirecTV ad? Sort of? Well, this is worse! TMZ reports Nate Dogg will play Coachella from beyond the grave. As a hologram. Using technology similar to that previously employed by Mariah Carey on stages across Europe, Nate Dogg will "be projected onto the Coachella stage — alongside Dre, Snoop Dogg, Kurupt, Warren G, and Daz Dillinger." What will this image do? Stand there, a la Obi Wan and Yoda at the end of Return of the Jedi? Will Coachella use archival footage of the legendary hook crooner? 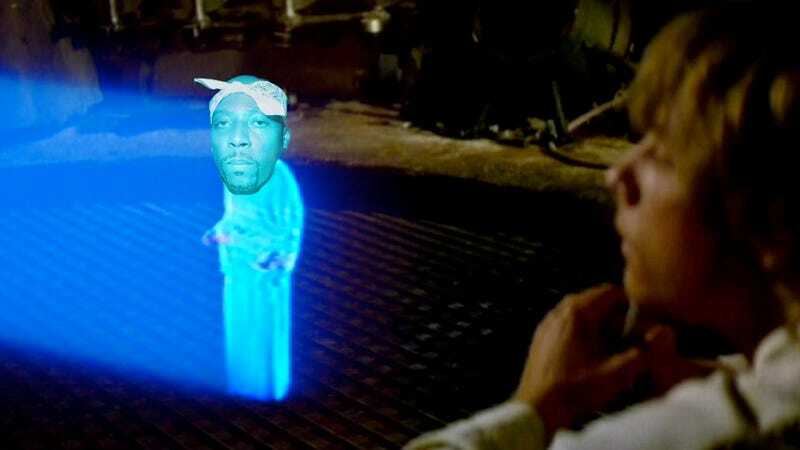 What if Warren G walks through Nate Dogg's ghost hologram? It will be hard to suspend disbelief!